The Sun Temple is a Hindu temple dedicated to the solar deity Surya located at Modhera village of Mehsana district, Gujarat, India. It is situated on the bank of the river Pushpavati. 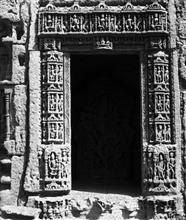 It was built after 1026-27 CE during the reign of Bhima I of the Chaulukya dynasty. No worship is offered now and is protected monument maintained by Archaeological Survey of India. The temple complex has three components: Gudhamandapa, the shrine hall; Sabhamandapa, the assembly hall and Kunda, the reservoir. The halls have intricately carved exterior and pillars. The reservoir has steps to reach bottom and numerous small shrines. 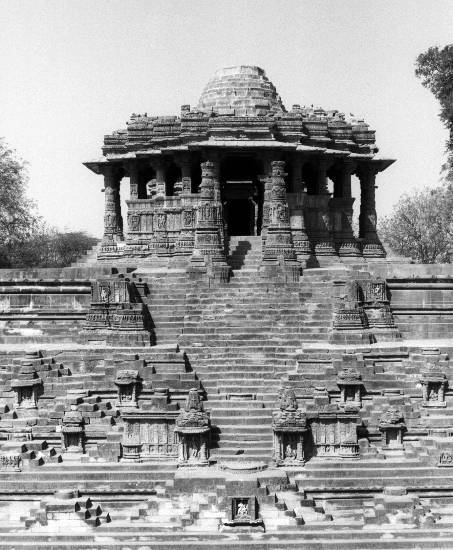 The shrine proper of the Sun Temple was built during the reign of Bhima I of Chaulukya dynasty. Earlier, during 1024-25, Mahmud of Ghazni had invaded Bhima's kingdom, and a force of around 20,000 soldiers had unsuccessfully tried to check his advance at Modhera. 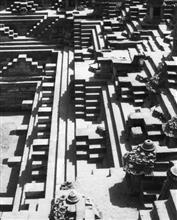 Historian A. K. Majumdar theorizes that the Sun Temple might have been built to commemorate this defence. On a block in western wall of cella, there is an inscription "Vikram Samvat 1083" upside down carelessly incised in Devnagari script which correspond to 1026-1027 CE. No other date is found. As the inscription is upside down, it evidences the destruction and reconstruction of the cella. Due to position of the inscription, it is not firmly considered as the date of construction. On the stylistic ground, it is known that the kunda with its corner shrines was built earlier in the beginning of the 11th century. The inscription is rather considered as the date of destruction by Ghazni instead of the construction. Soon after Bhima had returned to the power. So the temple proper, the miniature and the niche shrines in the tank was built shortly after 1026 CE. The dancing hall was added much later in the third quarter of the 12th century along with the gateways, the porch of the temple proper and the door frames of the temple and the cella during the reign of the Karna. The temple is built on 23.6° latitude (approximately near Tropic of Cancer). The place was later known as Sita ni Chauri and Ramkund locally. No worship is offered here now. 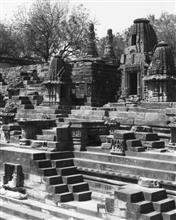 The temple is Monument of National Importance and is maintained by Archeological Survey of India. The temple complex is built in Maru-Gurjara style (Chaulukya style). The temple complex has three axially aligned components; the shrine proper (garbhagriha) in a hall (gudhamandapa), the outer or assembly hall (sabhamandapa or rangamandapa) and a sacred reservoir (kunda). The sabhamandapa is not in continuation with gudhamandapa but is placed little away as a separate structure. Both are built on paved platform. Their roofs have collapsed long ago leaving behind few lower-most courses. Both roofs are 15' 9" in diameter but are constructed differently. The platform or plinth is inverted lotus shaped. Kunda, a tank or reservoir is known as Ramakunda or Suryakunda. 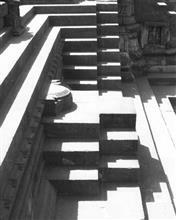 The flight of steps through kirti-torana leads to the reservoir. It is rectangular. It measures 176 feet from north to south and 120 feet from east to west. It is paved with stones all around. There are four terraces and recessed steps to descend to reach the bottom of the tank. The main entrance lies on west. There are steps to reach from one terrace to another on right angle to terrace. These steps are rectangular or square except the first step of each flight of steps which is semicircular. Several miniature shrines and niches in front of terrace-wall have images of gods including many Vaishnavite deities and goddesses such as Shitala.